From time to time we all have questions or concerns on a daily basis. It's just normal! Should you ever wish to discuss any ungating issues issues, please feel free to submit your information below using the submission form. All requests are promptly addressed in the order in which they are received. At this time we are only assisting Amazon sellers with US, UK and Canada marketplaces accounts. 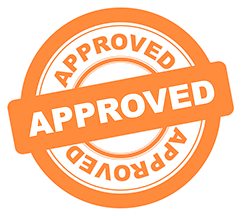 We look forward serving you and your business for all your ungating and approval needs. We also wish to thank you and we appreciate the time you have allowed us thus far with just viewing our website.